Located north of the Pacific NW’s Columbia River, Washington offers limitless scenic areas, bustling cities, and abundant historic landmarks. Vancouver is the fourth largest city in Washington and is just across the Columbia River from Portland, OR. Over the years, Vancouver has been visited by or home to several notable figures in U.S. history. Meriwether Lewis of Lewis and Clark originally described the Vancouver area as, “the only desired situation for settlement west of the Rocky Mountains.” President Ulysses S. Grant was stationed at Columbia Barracks (later renamed Vancouver Barracks and part of Fort Vancouver) for fifteen months during his career in the U.S. Army. Another Vancouver former resident of note is singer Willie Nelson. Fort Vancouver was reconstructed and is available for tours. While visiting Fort Vancouver, the historic homes of Officers Row are preserved nearby. A few blocks away from these landmarks, visit the Pearson Air Museum, home to numerous vintage airplanes. Vancouver hosts the largest 4th of July fireworks display west of the Mississippi. 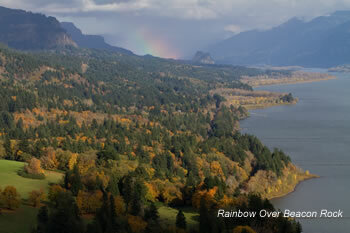 North of Vancouver, Longview is nestled between the Cowlitz and Columbia rivers. Originally named “Monticello” after Thomas Jefferson’s home in Virginia, the area served as a meeting place to draft a memorial to Congress, requesting statehood for the area soon to be known as Washington. This meeting is known as the Monticello Convention. A relatively new city, Longview was carefully planned and incorporated during the Roaring 20’s. Longview, though small, doesn’t lack in attractions. Lake Sacajawea Park in Longview is considered the crown jewel of the city, situated in an historic residential area, and offers various gardens, playgrounds, walking paths, and many esthetic views of the lake, which is open to fishing and non-motorized boating; Longview is designated as a Tree City USA, with over 16,000 trees planted to create an appealing urban forest. 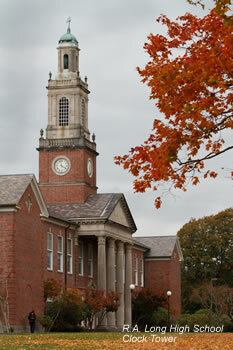 The performing arts enjoys venues such as the recently restored Columbia Theatre in the historic downtown area, and the state of the art Rose Center at Lower Columbia College. In July, Longview hosts the largest annual family oriented festival in the greater Cowlitz County area with the “Go Fourth Festival.” Other landmarks on the National Register of Historic Places include the Longview Public Library, RA Long High School, and the Monticello Hotel. Longview adjoins the city of Kelso (pop. 11,000) just to the east, which is named after its sister city in Scotland. Kelso hosts annually its Highlander Festival in September. 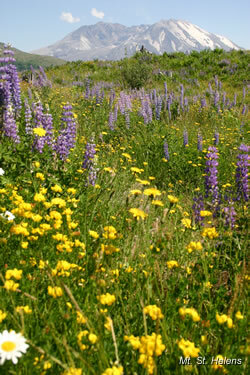 Nearby Puget Island contains the Puget Island Natural Area Preserve, home to the endangered Columbian White-tailed Deer. Near to both Vancouver and Longview, you’ll find Washington’s active volcano, Mt. St. Helens. Seattle is to the north, just up Interstate 5. The local area also offers golf, hiking, and boating. To view houses that are currently for sale in Vancouver or Longview, visit the “Quick Search” page of www.rmls.com. For relocation information, visit the Vancouver Chamber of Commerce or Kelso Longview Chamber of Commerce. For more information about Washington state, see Washington’s visitors guide.